When you need to tackle our hot Texas summers, you want a strong air conditioning system to keep you and your family cool and comfortable. 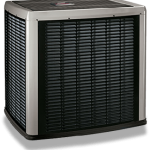 Let Air Specialist provide you an energy-efficient system that fits your home and budget. Air Specialist has served the Houston, Texas, area since 1970.